Stories of Origin is a series that explores the lived experiences of migrants and their families. 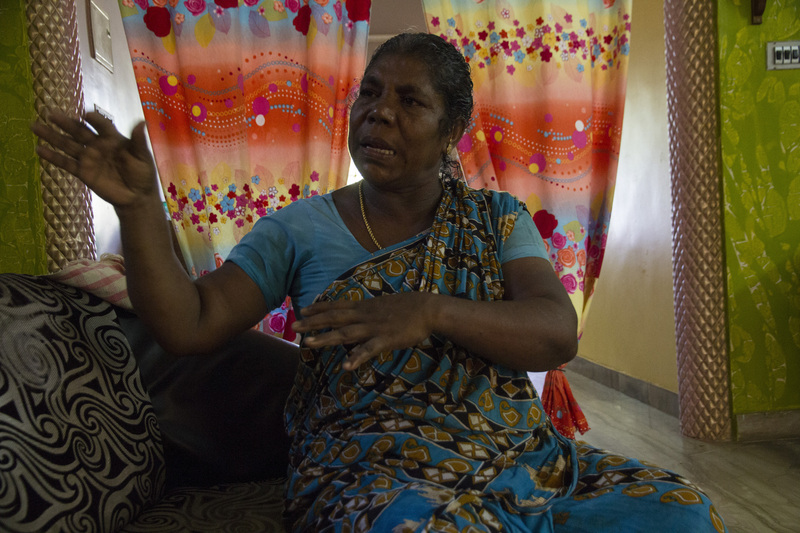 This is the first of a three-part piece on migrant fishermen from southern India. “It’s a village full of toothless and useless men,” Father Churchill says, only half joking. The former are the aged, and the latter are the children. The picturesque coastal village of Muttom in India’s southernmost district Kanyakumari is unlike other fishing villages. No huts on the beach; no catamarans lining the shore; not even the smell of fish, just a salty breeze cutting through the humid summer days. Concrete houses vie with each other to boast of successful forays the men have made to fish in the waters of Arabian and Persian Gulf. These are deep sea fishermen used to spending weeks away from shore. Neither their families nor they quite know if the sea gods will allow them safe return. Father Churchill of the South Asian Fishermen Federation and his colleagues work closely with the community in this district, to both help those in distress and to empower those who remain. A majority of the people in these areas have embraced Christianity, and juxtapose onto their new faith the superstitions and beliefs of their previous dogma. So the goddess who protects them while at sea and decides their fate is a Biblical figure in a white saree. The houses are colourful with small doorways on narrow streets and large open windows facing the expansive Indian Ocean. The hospitality is overwhelming. Every home greets us with sugary tea and cakes. “We can’t fear the sea; life or death, our fate is indelibly linked to the salt of the ocean,” Ritammal shrugs. And that sea knows no boundary for her four sons in the Gulf, and the rest of the coastal families. So while they fret and worry when their men are at sea, be it in the Indian Ocean or the Arabian sea, they know no other life, nor wish to seek another. As you walk through the tiny fishing hamlets in the southernmost areas of India, it is hard to spot an able-bodied man. The few you see are either home on vacation or waiting to migrate. It’s the women, children (the useless) and the aged (the toothless) who greet you, eager to share stories and photos of their menfolk, and allow you a peek into the relative prosperity remittances afford. ...it is hard to spot an able-bodied man. The few you see are either home on vacation or waiting to migrate. So you see streets of affluent looking homes, many far grander than what the owner could actually afford. In debt, and drowning in multiple mortgages, the men keep returning to the harbours of the GCC. The vagaries of the seas is the least of the migrant fishermen’s concerns. Rather, it’s being arrested by the coast guards of Iran or the GCC states. Over the last decade, thousands of fishermen have been detained and made to pay hefty penalties. Yet, they are not deterred from migration. 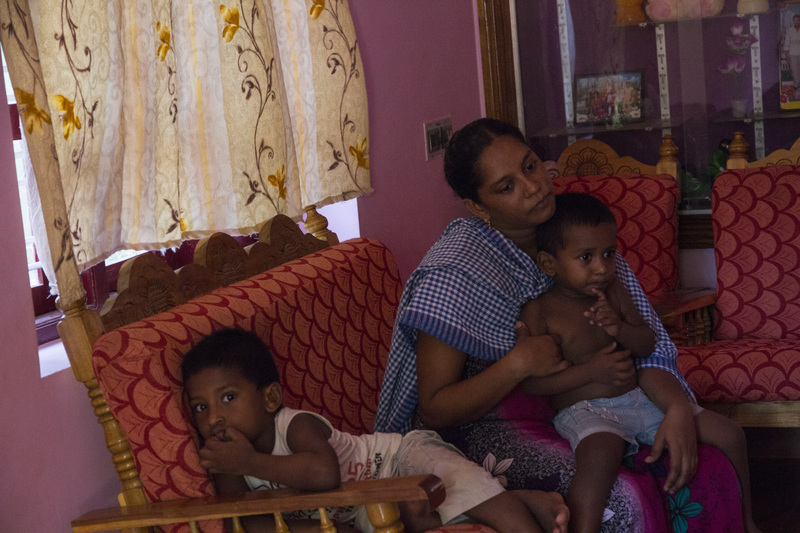 In the last 13 years, Ritammal has seen four of her sons move to Saudi. Her house reflects it. On a corner plot of land stands a three-storeyed concrete house. Colourful, and furnished with every household luxury one could imagine. Ritammal’s youngest son is home from Saudi on vacation. He insists on not being named or photographed. “I have to go back to Dhahran and I don’t want my kafeel to get upset,” he murmurs. So, would it be better to stay behind in India? His mother offers the reason, collectively for her sons and the rest of migrant workers in the fishing industry. 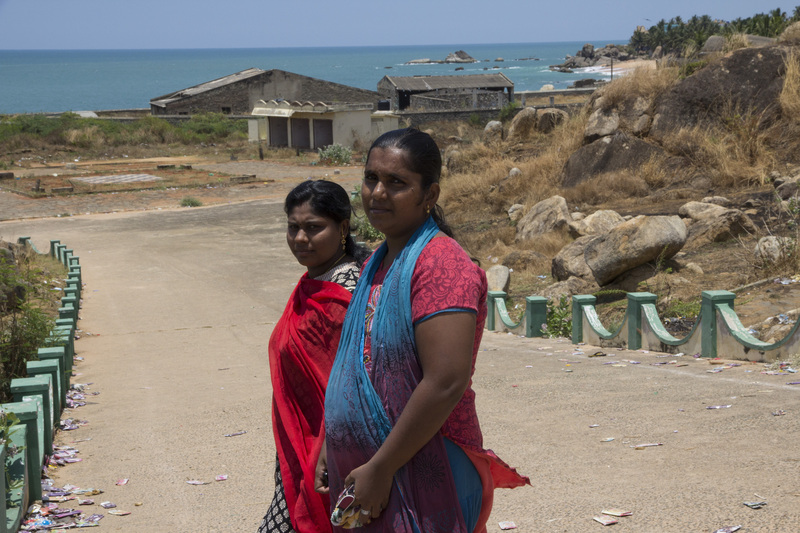 Fish stock in the Indian coast has been dwindling for decades, and the state has not invested enough in protecting the trade or the fish workers (more on that in part 2). "We can’t quite manage. But banks will give a loan only based on their foreign employment, even if we would never earn enough to comfortably pay back," says Subeida. Her husband Seelan was arrested in Qatar. 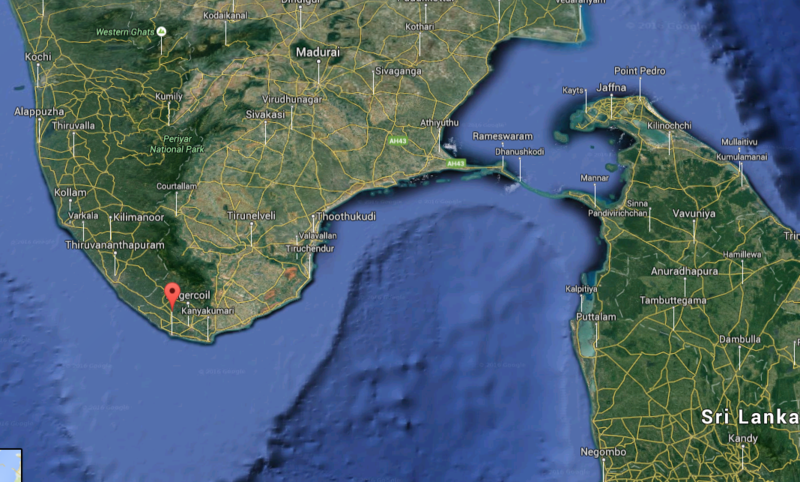 Kadiapattinam is a village neighboring Muttom. There are 1500 households, all of whom have a family member in the Gulf. About 500 work in Qatar and the rest in Saudi. The few men you'd find are those who are old or the ones waiting to migrate. “We can’t fear the sea; life or death, our fate is indelibly linked to the salt of the ocean,” Ritammal says. Her four sons all work in the Gulf. “They are aware of problems there… but always the hope that things will get better,” says Bonslee, whose husband Vinoj works in Saudi. 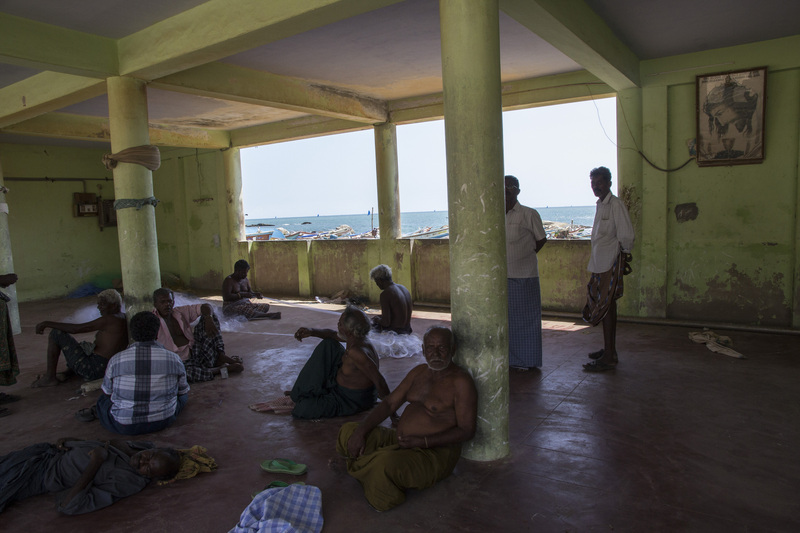 Muttom is in the southernmost tip of the Indian peninsula, and is a village that the Gulf fishing industry depends on. As Father Churchill points out, there just aren’t enough landing centres. 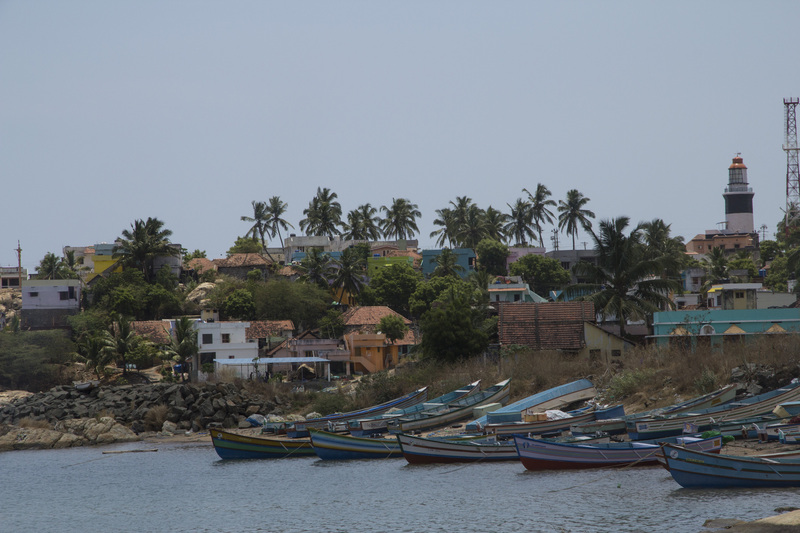 There is just the one private harbour in Muttom, where fishermen in mechanised boats bring in their catch and trade. On the street that Ritammal lives, almost every house has someone working in the Gulf. So stories of hardship in foreign seas are common. The ones who can’t make a living off the Indian coast may attempt shore work, according to the women we meet. But it’s not one that they are happy doing. ‘Shore work’ is a broad term for anything that’s not to do with the sea. Rubin, Helena’s husband, went to Ajman in May 2015. A ‘captain’ in the village arranged for his visa. The captain is the one who recruits his crew here, usually from amongst his family and friends. The captain usually receives a ‘recruitment’ fee. Rubin was amongst the 49 fishermen caught crossing waters from UAE to Iran. From those 49, 8 fishermen were from Muttom alone. Subeida receives us with a stack of papers. 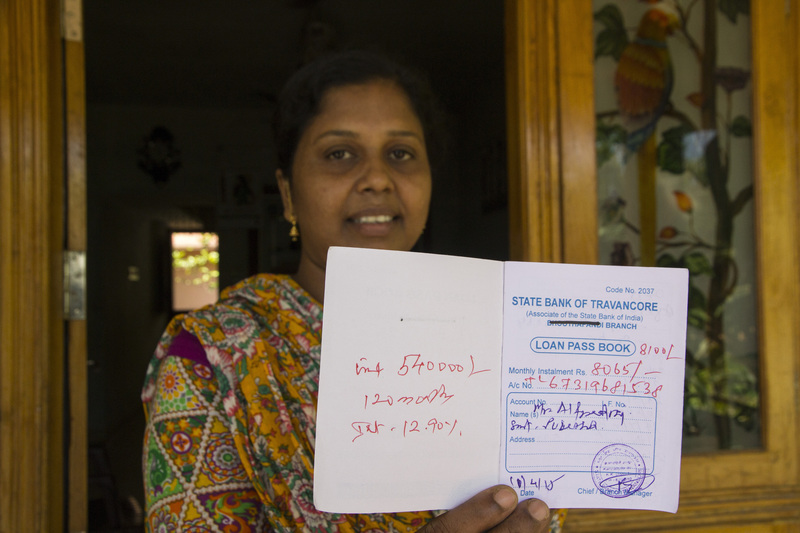 Home loan documents, her husband Seelan’s passport copy and her daughter’s mark sheets. On the day we meet, Seelan and his colleagues had just been released after being detained in Qatar for three months. Seelan has been working in Saudi Arabia for 19 years. And this is not the first time he has been caught crossing borders. Her voice is strong and belies the tears streaming down her cheeks. It appears that at any given point of time, in this village alone, a family or two would be awaiting news of an arrested family member.